Des del Servei de Llengües us volem desitjar unes moltes bones festes i un feliç 2019! Us recordem que el Servei romandrà tancat del 22 de desembre al 6 de gener, ambdós inclosos. Quin nivell d’anglès, alemany, francès o italià tenen els estudiants que comencen un grau a la UAB? Us presentem els resultats de la prova de nivell de llengües dels alumnes de nou ingrés d’aquest curs 2018-2019. Trobareu l’informe sencer al web del Pla de llengües. Ja tenim aquí el nou curs, el curs 2018-2019. Un any acadèmic ple de cursos i activitats. Vols informat-te dels nostres cursos: entra en aquest enllaç i consulta aquesta notícia amb els destacats. Vols saber com pots conèixer el teu nivell d’anglès, alemany, francès, italià, català o castellà?. Consulta la pàgina de tests de nivell. També pots certificar el teu coneixement de llengües amb nosaltres. Entra a la pàgina d’exàmens. I si el que busques són correccions o traduccions, consulta els nostres serveis. Cada mes, t’anirem presentant les activitats que tens per a practicar llengües gratuïtament al Campus i t’explicarem els recursos gratuïts que tens a un clic. Entra al canal de Youtube del Servei de Llengües! Intercanvis lingüístics, voluntariat, activitats per la Festa Major, el Dia duropeu de les Llengües… Tot això i més! En vols més? Segueix-nos a Facebook, Twitter, Instagram i Youtube. CONNECTA’T AL Servei de Llengües! From early 2015 to the end of 2017, the Language Advisory & Translation Unit at the Servei de Llengües participated in an international Erasmus+ project titled Nursing on the Move. 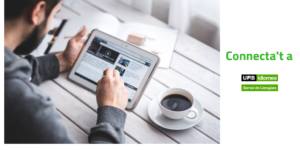 The project, with eight European members and led by the University of Antwerp (Belgium), aimed to produce online teaching and learning material in a variety of languages for nursing professionals in situations of professional mobility, whether in temporary training or in permanent relocation. Most specifically, the material supports users’ far greater awareness and competence in the area of cultural communication, an ambit of critical importance in nursing contexts, and one that has often been approached in a superficial or generally unsatisfactory manner in traditional training courses for nursing professionals. The Language Advisory & Translation Unit, represented in this project by David Owen, was responsible for creating the Spanish material and for piloting this with a group of UAB student nurses during their Erasmus exchanges throughout Europe. Additionally, the Unit was project coordinator for statistical analysis (with the cooperation of Rebeca García Rueda from the Language Service’s Assessment & Certification Unit). On the basis of this statistical analysis and of piloting feedback received from all members, the Unit then produced the final Quality Assessment Report (presented to a Health Communication conference hosted by the project in Vienna in June 2017). This formed a central part of the Project Report that received a highly positive final assessment from the Erasmus+ evaluation committee. The outcome of the project is a fully functioning online training course available for language and communication specialists in Nursing education (http://www.nursingonthemove.eu). Further collaboration amongst the project members is currently under discussion. The Servei de Llengües is very satisfied with this experience and with having made a solid contribution to such a vital and dynamic area of practical language development and professional training. Us deixem un recull de notícies sobre les Deu pistes per a un ús no sexista del llenguatge. 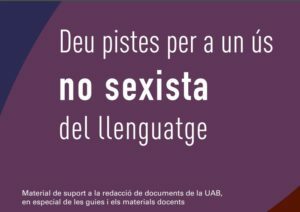 Europapress: La UAB edita un documento que da pautas para evitar el lenguaje sexista. 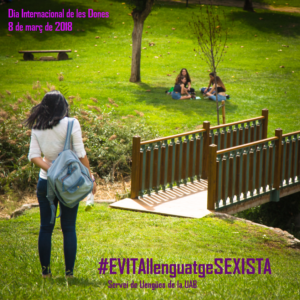 Celebra amb el Servei de Llengües de la UAB el Dia internacional de les dones, fent aportacions per evitar l’ús sexista del llenguatge en la llengua que vulguis. Com? Compartint casos que consideris d’ús sexista del llenguatge, com els reflectits al document Deu pistes per a l’ús no sexista del llenguatge. Podeu aportar exemples concrets de formes, frases, fragments de documents, imatges…, que es puguin trobar en diversos contextos, al campus o fora, i que evidenciïn aquest tipus de discriminació. Per exemple, els llibres de text que feu servir utilitzen referents personals com “autor” o no personals com “autoria”? On? A través del Twitter,del Facebook i de l’Instagram del Servei de Llengües, a través de l’etiqueta #EVITAllenguatgeSEXISTA. Seguiu les pistes del document Deu pistes per a l’ús no sexista del llenguatge! Quan? Els dies 6 i 7 de març. Consulta el programa d’activitats dels dies 6 i 7 de març a la UAB i participa en les activitats que s’hi organitzen! Esperanto was a project that never became the international language in the way that it was envisioned. The idea of an international language amongst nations never happened. 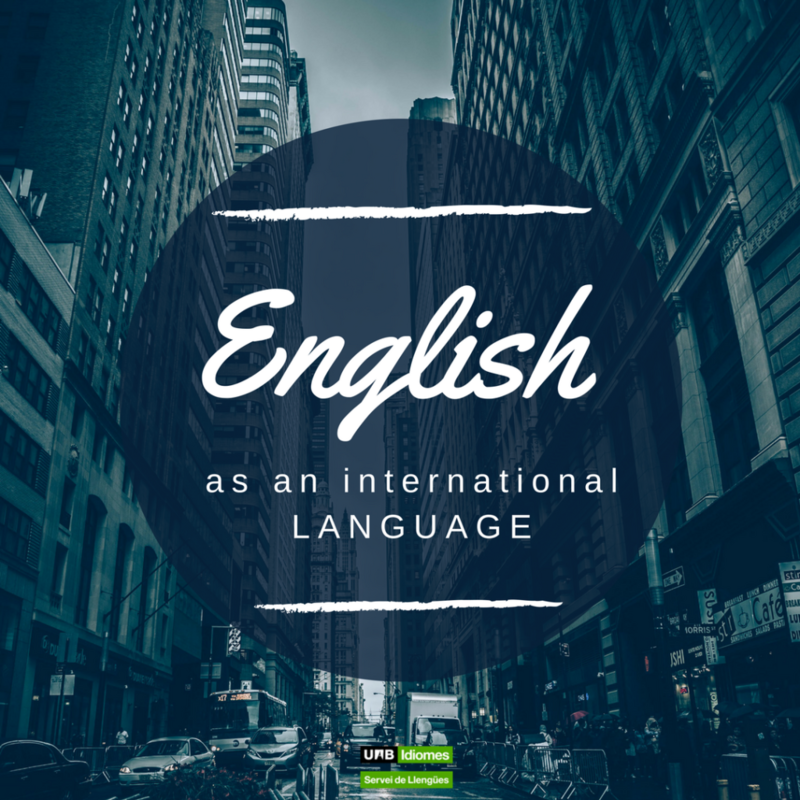 English has become the international language for intercultural communication. The historical, geographical, economic and political factors of the British Empire and then The United States within the worldwide community are the reasons for the strength of the English language worldwide. English is no longer linked to a single culture or nation but serves both the global and local needs as the language of wider communication. Being able to speak English today means being able to participate and communicate in a growing global community where accent is of no consequence, but intelligibility is most crucial. The history of the English language is one of incorporating new words that derive from other languages as well as the overwhelming spread of popular culture from the United States as well as The United Kingdom after WWII. The vast number of films released and distributed around the world from the United States, the boundless literary production in the metropolis and ex colonies, the beginning of television after World War II and the technological revolution which the internet and social networks brought about made English the most popular language around the world. 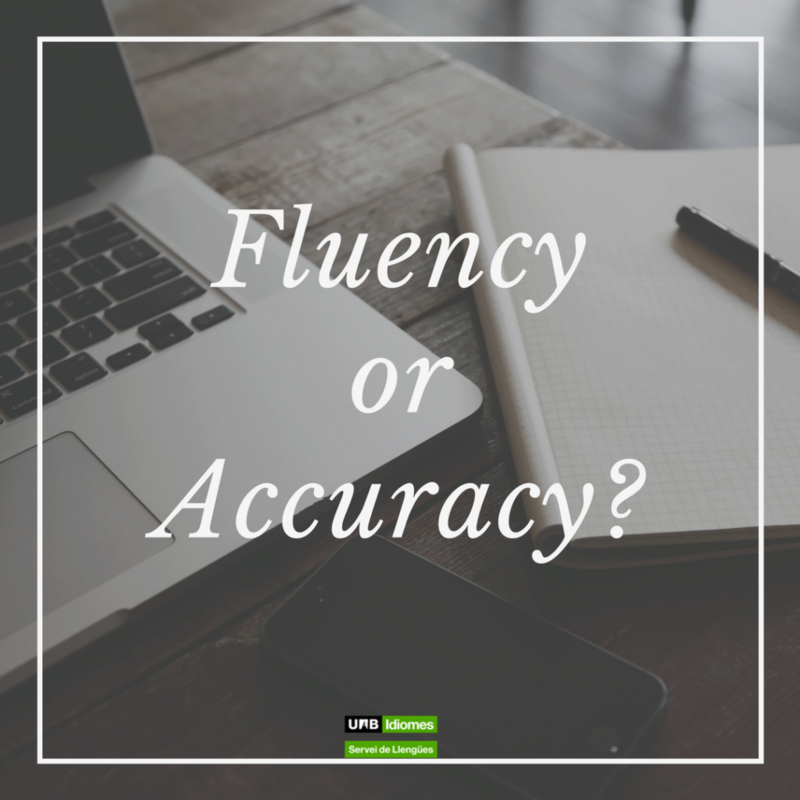 What’s Best: Fluency or Accuracy? How many times have you heard—or maybe even asked—the question “is it better to be fluent or to be accurate?”. In language learning, this is a common debate and it basically places in opposition language production that is formally correct (grammatically, syntactically, lexically, phonetically) but perhaps not very successful at negotiating social function, with language production that may well be technically at fault but is nevertheless very good at achieving its communicative purpose. The debate is an old one, and there are opinions to suit all tastes. In the Translation Unit, of course we’re primarily concerned with the written word. So the sort of language that we produce is obviously different in character to the spoken form. But the fluency/accuracy debate is relevant to our work, too, and I’d like to consider just a few things in order to try and give some insight into this question, at least from the perspective of translation and text correction. It sounds reasonable to say that an informal e-mail doesn’t need the same sort of accuracy as an academic paper, a contract or an instructions manual. On the one hand, we have a text that’s probably aimed at some sort of pragmatic objective (arranging to meet up; asking a quick question; inviting a friend, etc. ); on the other, we have texts with on obvious need for linguistic precision. This tends to make people think that the only feasible answer to the question we’re asking here is “it depends”! 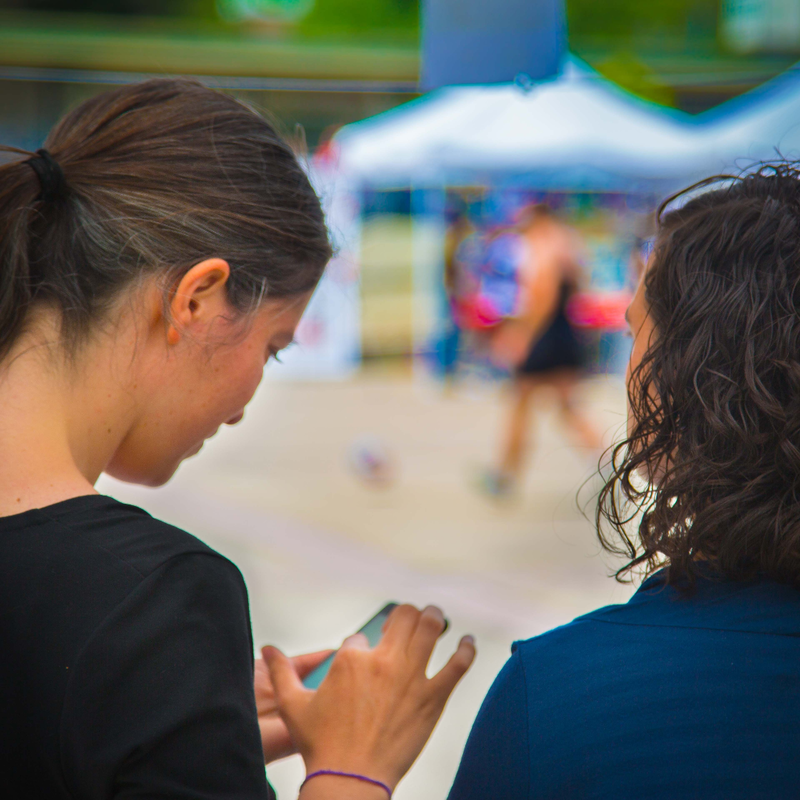 If your objective is informal communication, you don’t need to worry too much about accuracy. Just let your language flow freely (which is the lexical idea that underpins the word ’fluency’). For more formal contexts, we’re likely to say that we need precise, unambiguous language, that is, ’accuracy’ (from Latin accuratus, “prepared with care”). This sounds perfectly rational, doesn’t it? Except—unfortunately—that it’s not exactly like that. Why not? Because if we see fluency in opposition to accuracy, then logically they can never occur simultaneously. Or, to put it another way, if we insist on seeing language as a continuum, like a straight line, with accuracy at one end and fluency at the other, then absolute fluency (such as that characterising native speakers, for instance) would imply a total absence of accuracy; and absolute accuracy (such as that required by an instructions manual, for example) would imply a total absence of fluency, and nothing at all would get communicated in any meaningful way. Clearly, that’s nonsense. Language is not a fluency-accuracy continuum; instead, it makes use of both elements simultaneously, though each in distinct proportions depending on the circumstances. A legal contract has to be highly accurate or else it will fail in its most essential purpose; but to be a good pragmatic document (one that is easy to follow, coherent, comprehensible and yet precise in its objectives) it needs a solid degree of written fluency; it needs to “read well”. And, actually, this is true whether we’re talking about written or spoken language: genuine, effective communication depends on both fluency and accuracy. So, in a sense, the answer to our question really is that “it depends”. But if we think that, by focussing on accuracy we can move away from fluency, and vice versa, then inevitably the sort of language we’ll end up producing won’t be much use to us, or to anyone else! Cine, música, lectura… fora de l’aula continuem practicant! Les activitats per a practicar llengües dins i fora de l’aula són una manera perfecta per fer més complet el teu aprenentatge de llengües. Sabem que les classes aporten una part gran del coneixement però no ho són tot. Si volem avançar hi hem de dedicar altres espais i moments fora de l’aula. Però… d’on trec el temps? I si aprofitem aquelles activitats que ens agraden per a practicar llengües? – Mira les sèries o pel·lícules que més t’agraden en versió original. No en coneixes cap en la llengua que estudies? Segur que el teu professor o professora te’n pot recomanar alguna! – Escolta música en la llengua que aprens. Busca les lletres de les cançons i ampliaràs el teu vocabulari, sobretot aquell més informal i quotidià. – Arriba el vespre i vols saber què ha passat al món? Llegeix algun diari en la llengua que estudies. A més, estaràs al dia de tot allò que passa fora de Catalunya. – Segueix comptes de xarxes socials que utilitzin la llengua que estudies. Mentre esperes el tren, el teu torn per demanar un cafè o estàs a la sala d’espera del dentista, pots aprendre noves paraules i expressions. I també conèixer gent a través de la xarxa! – Tens companys d’intercanvi a la teva classe? Aprofita per fer algun treball conjunt i ajudeu-vos mútuament amb la llengua. Podeu aprendre l’un de l’altre mentre feu les tasques que us demanen al grau. I tu, què fas per a practicar llengües fora de l’aula? Avui ens centrem en els nostres coneixements lingüístics i de quina manera podem reflectir-los al currículum. 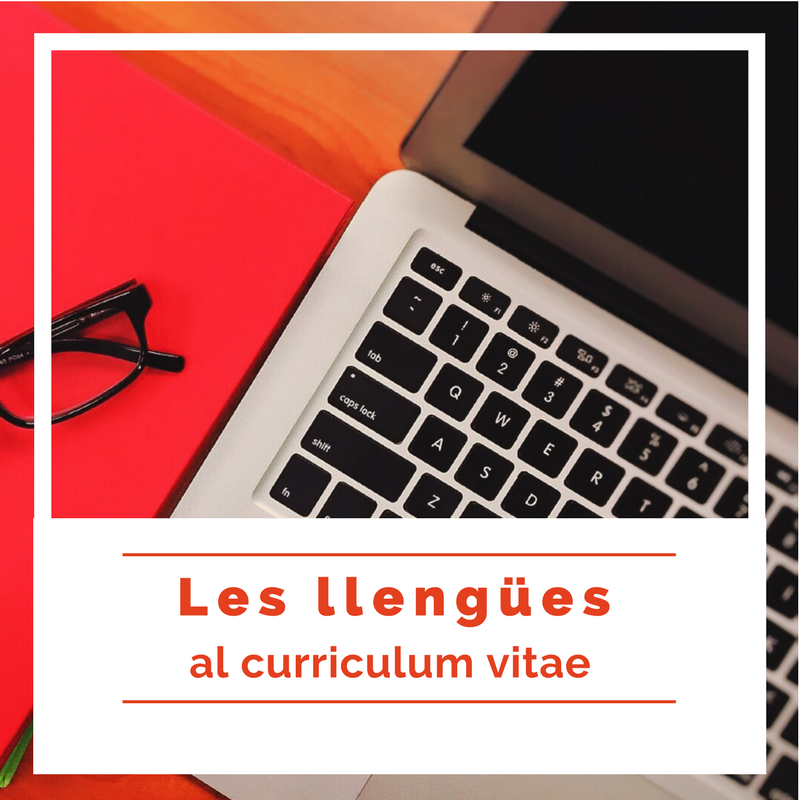 A vegades se’ns fa difícil il·lustrar en la brevetat d’un curriculum vitae els nostres coneixements i habilitats. I no només això, sinó que pel que fa a les llengües podem entendre’n una però no parlar-la, per exemple. I això passa molt sovint, és normal que tinguem més competència en les habilitats receptives (escoltar i llegir) que en les habilitats productives (parlar i escriure). Aleshores, com podem explicar quines llengües sabem, en quin nivell i quines habilitats dominem millor? En l’àmbit lingüístic parlem, a grans trets, de 4 destreses: comprensió oral (entendre), comprensió escrita (llegir), expressió oral (parlar) i expressió escrita (escriure). I parlem d’uns nivells que ha establert el Consell d’Europa mitjançant el Marc europeu comú de referència per a les llengües (parlarem del MECR en un altre apunt): A1, B2, C1.1… Us sona? * Certificat de Nivell Superior expedit pel Servei de Llengües de la UAB. Juliol de 2014. ** Diploma Intermédio de Português Língua Estrangeira (DIPLE) expedit per l’Instituto Camões. Juny de 2007. *** Cursant el nivell B2.2 al Servei de Llengües de la UAB. Actualment. Si, a més, podem aportar documentació que acrediti el que hem indicat, molt millor. No cal dir-ho. També podeu fer esment de les estades que hàgiu fet a països on es parla la llengua en qüestió. Aquesta és una manera de mostrar els nostres coneixements lingüístics que, de ben segur, no farà justícia al que realment sabem, però ens hem d’ajustar a la brevetat que caracteritza els currículums. Podem aprofitar l’entrevista personal per desenvolupar la informació que creguem més rellevant. També podem deixar de banda la graella i desenvolupar la informació per escrit, però aleshores faríem que el document fos excessivament llarg. Podem afegir un enllaç als descriptors del MECR de què parlem perquè els destinataris sàpiguen què vol dir que una persona té un nivell X d’una llengua Y.
Això pot voler dir que aquesta persona no ha fet cap formació formal en llengua italiana però que en té algun coneixement. Afegim-ho: tot suma. Una altra opció és emprar la plantilla de curriculum vitae que el Consell d’Europa, mitjançant el Portfolio Europeu de les Llengües (PEL), posa a disposició dels usuaris. Aquí podeu descarregar la plantilla en català i aquí en altres llengües. Veureu que aquesta opció també inclou una graella per disposar la informació relativa als coneixements lingüístics. El PEL incorpora altres documents (el passaport lingüístic, la biografia lingüística i el dossier) que ens serveixen com a instrument de reflexió, de suport a l’aprenentatge, d’autoavaluació i d’increment de la consciència lingüística. Amb tot, és una eina feixuga d’implementar i de mantenir, encotillada i tancada. Si us interessa la qüestió podeu consultar les entrades que hi fan referència al blog Aprendre Llengües, que tot i que ja tenen uns anys continuen vigents.